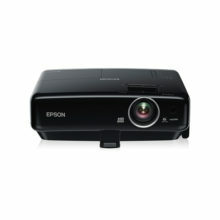 With stylish, modern design and cutting edge technology, the Epson EB-455Wi sets a new standard for Ultra Short Throw projection. 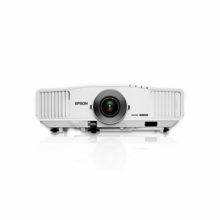 Offering interactivity, a sharp, square-edged image, and a brightness of up to 2,500 lumens Light Output and 2,500 lumens Colour Light Output, the EB450Wi is ideal for the modern classroom environment. Interactive lesson content has never looked so good! In the past, you needed a projector and an interactive whiteboard to create an interactive environment in a meeting room or class room. Now, you can make almost any wall interactive with the EB-455Wi. This high performance projector and interactive-pen combination integrates interactive functionality into one machine. With no requirement for an interactive whiteboard, you can utilise an existing pen-based whiteboard or even a flat wall for full colour presentations, interactive brainstorming sessions, annotation on-the-fly and much more. 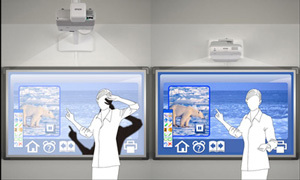 With the EB-455Wi and it’s easy to use software (via download from www.epson.com.au) you can turn your whiteboard into a fully interactive business or teaching tool. At the end of your meeting, simply save the file for printing or emailing to attendees. Capable of producing an interactive image size anywhere from 59” up to 96” diagonal (native WXGA) on nearly any wall, the Epson EB-455Wi delivers an amazing interactive work environment. Thanks to this Ultra Short Throw distance, presenters are able to deliver rich multimedia content without the distraction of glare in the eyes, or shadows on the board disrupting vision. 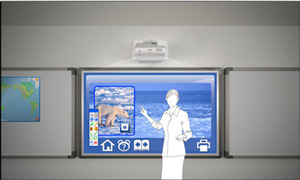 With the added benefit of 3LCD Technology, presentations will feature rich, vibrant colours that bring content to life. 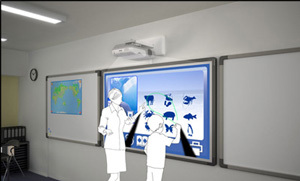 Plus, with up to 2,500 lumens Light Output, there is no need to dim the lights or draw the curtains, so meetings or lessons can start straight away without interruption.. By utilising the in-built 12W speakers, the EB-455Wi is able to fulfill your classroom requirements for delivery of audio included in multimedia content, or for use in conjunction with a microphone. At Epson, we know that planning for the future requires a strong commitment to the environment. That’s why these products conform to the new European Directive on Eco-Design of energy using products. The main objective of this directive is to ensure energy efficiency throughout a product’s lifecycle. The EB-455Wi conforms to the criteria of this directive. 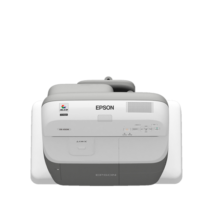 As with all Epson products, ease of use and low cost of ownership were paramount in the design process used to create the EB-455Wi. Lamp life is estimated at up to 3,500 hours in ECO mode, making it one of the longest lasting lamps in this category. We even back these lamps with a full 12 month, 750 hour lamp warranty to give you peace of mind. In addition, thanks to it’s improved filter design, the EB-455Wi filter now has life estimated at up to 5,000 hours! With the EB-455Wi, monitoring and operation can be carried out from a remote PC via network connection. System Administrators can turn the projector off, switch between sources, as well as control and monitor lamp and temperature conditions. Using this feature you can be sure that all projectors are operating correctly and be certain that all units are turned off at the end of the day and in the process, save time, money and reduce drain on the environment. 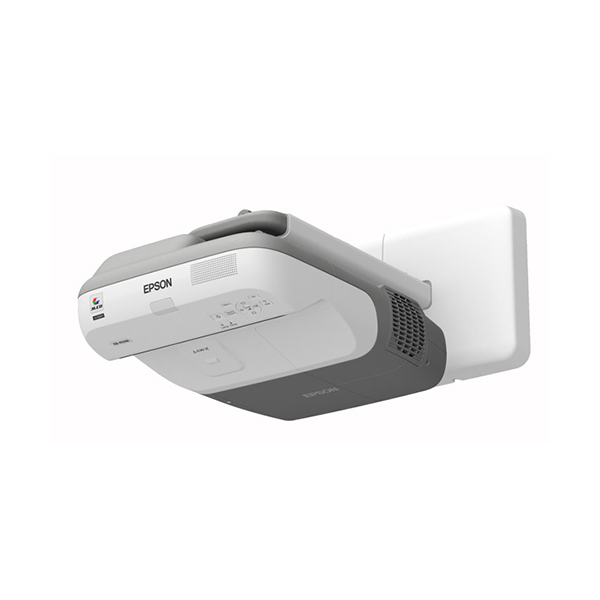 Further enhancing suitability to the modern classroom is the ability for the EB-455Wi to connect directly to the Epson ELP-DC06 document camera / visualiser. 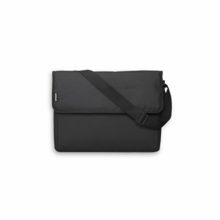 These Epson products feature unique technology enabling them to connect via USB and provide full operation without the need for a PC. #Subject to operation & environmental conditions.